On Saturday, the Higher Elections Committee announced that campaigning for the second stage of the parliamentary elections will take place between 2 and 20 November. Voters in 14 out of Egypt's 27 governorates went to the polls in October; the remaining 13 governorates will see elections on 22 and 23 November, followed by voting in the run-off round on 1 to 2 December. The committee, the seven-member judicial body in charge of supervising Egypt's upcoming parliamentary elections, announced that campaigning for the first round of the second stage of the polls will be allowed in 13 governorates between 5 and 19 November. According to the committee's spokesperson Omar Marawan, campaigning officially kicked off on Monday and will continue for a further 19 days. "The committee's poll timetable also states that there will be a day of campaign silence on 20 November, to be followed by the vote for Egyptians overseas on 21-22 November and for residents on 22-23 November," said Marawan, adding that "in case of a run-off, voting abroad will take place on 30 November and 1 December, while voting in Egypt will be on 1-2 December." As many as 222 independent parliamentary seats will be available in this vote, with 2,847 candidates competing in 102 constituencies. In addition there are 60 seats which will be filled by whichever party list secures a majority in two constituencies: Cairo and the Middle and South Delta (which has 45 seats), and East Delta (with 15 seats). All in all, there will be 282 seats up for competition in the second, and final, stage of the polls. The committee's statistics show that four electoral coalitions will compete for the 45-seat Cairo and Delta constituency with 180 candidates or 45 each: “For the Love of Egypt”, the Nour Party, the Egyptian Front and Independence Current Alliance, and the Republican Alliance of Social Forces. The "For the Love of Egypt" coalition, widely believed to be supported by Egypt's President Abdel-Fattah El-Sisi,is the only force contesting the polls in East Delta and will therefore secure all the seats if it secures 5 percent of the vote. The first stage drew to a close on 30 October, with three secular political forces – the Free Egyptians Party, the Future of Homeland Party, and the Wafd party – emerging as the main victors. Statistics show that the candidates of these three political parties running as independents won almost 90 seats. These parties, which are among the members of the “For the Love of Egypt” coalition, won 60 seats via the coalitions lists. The committee said that as many as 273 seats were filled in the first stage. "Out of this total, 60 seats went to party-based candidates, while 213 went to independent candidates," said HEC's Marawan, adding that "out of the 213 independents, 108 were affiliated with political parties, while 105 ran as purely independents." The committee said that eleven individual constituencies have yet to be filled so that the number of elected seats in the first stage reach 284. Most observers agree that the second stage of the polls will be much more competitive than the first, as it will include Cairo and other densely populated governorates in the Nile Delta. All in all, the polls will be held in 13 governorates: Cairo, Qalioubiya, Daqahliya, Menoufiya, Gharbiya, Kafr El-Sheikh, Sharqiya, Damietta, Port Said, Ismailia, Suez, North Sinai and South Sinai. "These 13 governorates include some 27.5 million voters, compared to 25.5 million in the first stage," said Marawan. Amr Hashem Rabie, an Ahram political analyst, agrees that the second stage will be more competitive. "Note that although the first stage covered 14 governorates, it included 25.5 voters only, but while the second stage covers 13 governorates, it is more than the first one by around two million voters or with a total 27.5 million," said Rabie. 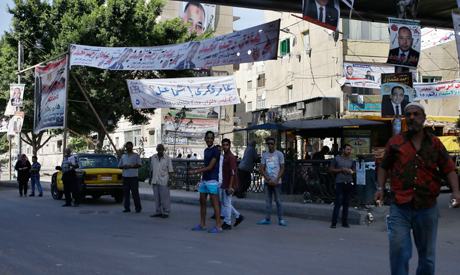 Cairo alone includes 6.5 million voters, accounting for 11.5 per cent of the total electorate. "Not to mention that the most intensive campaigning takes place in Cairo where mainly high-profile and wealthy figures compete," said Rabie. Gamal Zahran, a former independent MP and a professor of political science with Suez Canal University, argues that "if wealthy political parties, particularly the Free Egyptians Party, proved capable of spending a lot of money on campaigning in the first stage in violation of the High Election Committee's rules to win a considerable number of seats, the same will be true about the second stage." "In this stage you will see affluent candidates in Cairo and the Nile Delta doing their best and spending millions to mobilise people to vote for them," said Zahran. Although the committee's rules state that an independent candidate cannot spend more than LE500,000 in the first round and LE200,000 should a run-off take place, many candidates exceeded these limits during the first stage. The Salafist Nour Party, which suffered a big defeat in the first stage, blamed its loss on "political money." "You've got new political parties and independents who are ready to spend millions to buy votes," said Nour official Salah Abdel-Maaboud. Zahran, however, contends that Nour itself spent millions on campaigning in the first stage and rumours were rife that it bribed tribes in western Alexandria to get their votes. Nour has repeatedly faced accusations that it has received millions of donations from Salafist movements in oil-rich Arab Gulf countries. The Higher Elections Committee's rules also state that candidates are prohibited from using religious slogans or racially discriminatory slogans, or using mosques or churches to campaign. Violation of these rules could lead to the offenders' elimination from the list of candidates.